I have a very special guest today whom I know you’re going to love! Her name is Keri from Living in This Season. Keri is a young mom of three, and has become a dear friend in the past several months (we actually have several mutual “real life” friends)! 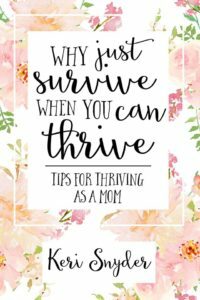 Keri recently released her book, Why Just Survive When You Can Thrive (I just adore her cute book cover, btw), and she’s sharing a bit of mom wisdom here on the blog! 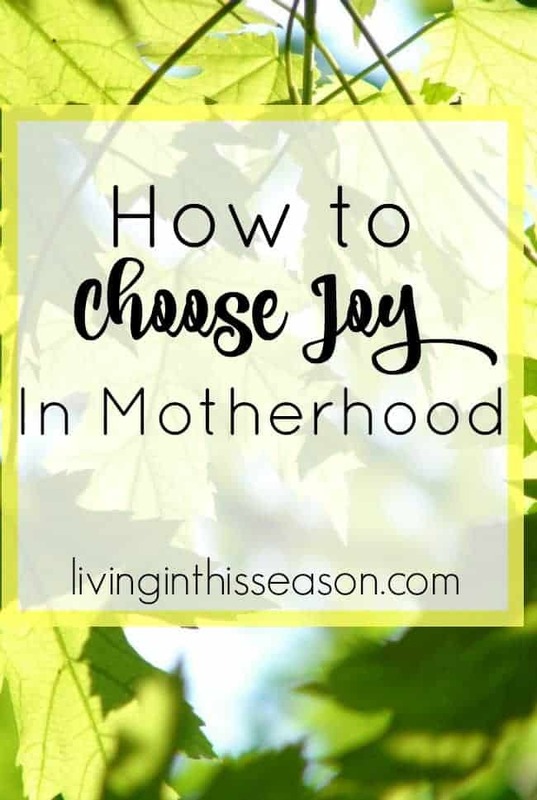 Let’s get to the meat of a subject which is important (and hard) for moms – choosing joy in every season! Whenever I am asked what season is my favorite, I struggle to pick just one because as much as I love the sunny days of summer, there is something so beautiful about the winter. Or when springtime starts to bloom after a long cold winter. Or the fall breeze coming through. Just as each of the four seasons has beauty, I think that each season of life holds beauty. Even in the darkest of days, there can be beauty and joy- we just have to choose it. Choosing joy has become my daily thing and as I have dug more into it, I have realized there are two truths about finding joy in every season. (1) Choosing joy is a choice. We are not naturally going to choose joy every day. Joy is a choice that we make. 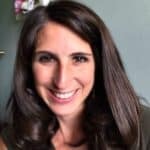 When I am having a rough morning with screaming kids and I start to feel overwhelmed, I have to choose not to let those moments define my day or even my week. Daily I remind myself to just find one thing. Some days it may be easy to find many things that bring me joy, but on the hard days, I will ask myself “What is one thing that is good?” I will identify that thing and cling to it. The funny thing is that usually as I remember the one thing, other things will start to come to my attention. Managing kids who are fighting is not my most favorite thing, but seeing them snuggled on the couch at the end of a long day brings so much joy. That joy, in that single moment, can cover all the tears, because in that moment I am reminded of why I do what I do. My life has so many hard moments scattered throughout it, and I have learned from these, but I am not going to choose to let those define me or choose to remain in them. The other morning was a really challenging morning. My younger two were exhausted which resulted in many tears and lots of fighting. I was really frustrated and there would have been a time where I would have thrown in the towel proclaiming it is just a bad day. But I choose to push through. We kept things super simple (as in we watched a movie and ran around outside some) until nap time. During nap time, I took a shower and prayed to choose joy. The rough morning was hard and it was unbelievably exhausting and I most definitely talked to my husband about it later, but it did not define our day or me as a mom. Do you struggle to choose joy? How do you think you can start choosing joy on a daily basis? Keri is married to her husband Nick and they live in South Carolina with their three little ones. She loves to write, read, indulge in dark chocolate, and coffee. 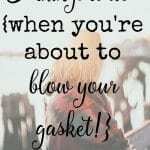 She writes over at Living In This Season. 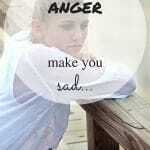 Dear mom, are you tired of living in survival mode? If you have grown weary of just getting by, a word of hope is just what you need. Motherhood holds so much joy. In Why Just Survive When You Can Thrive, Keri Snyder shows you how you can live a thriving life as a mom. In just eight chapters, you will receive the tools and encouragement you need to thrive. 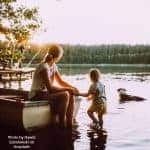 It is time to move out of the depths of survival mode and step forward into the abundant life that God has called you to as a mom. I know you’ll enjoy this quick, 8 chapter book full of wise perspective from someone quite possibly in the same stage of life as yourself! To order or read more, simply click this link (tip: it’s VERY affordable)! Thank you for letting me share here today!! Such a good word for young moms, Keri! Your book has a powerful message moms need to hear!